ChampionTutor provides you all educational needs for your child. As we believe every child is a champion and it's only a matter of discovery and motivation, which help them to realize their skills. Find Best tutors in Malaysia. × To have the best experience with our site, please kindly use Google Chrome browser to view it. Please register now, it takes less than five minutes! Please Kindly click on the fb post to apply. I'm currently working as a training officer in my company. One of my tasks is to conduct orientation program to all the newcomers and educate them on the information they need to know before they start working. It basically resembles a teaching process during which knowledge is being imparted to the trainees. I have strong passion in teaching and have patience to deal with kids as I always enjoy spending time with kids. Being a Certified Trainer under PSMB, I believe the Train-the-Trainer course I attended makes me better equopped with the knowledge and skills necessary to become a good teacher. I have always believed that learning is all about passion and application. They are catalysts and ingredients required to facilitate learning process. I may not have experience in teaching but I believe passion is all that matters in the end. Teaching should always be an interactive process. Whether I teach or train, I will always make sure the trainees or students learn something at the end of every teaching session. I was a full-time tutor in a tuition centre based in Johor Bahru, I worked for half year after STPM before further my tertiary education. I taught all subjects e.g. chinese, bahasa melayu, english, maths & science from Primary One to Primary Six students. I couldn't remember how many students I have taught, perhaps more than 100 because each class has around 20 students. I love children and I always try not to stress them out, so at the end of the class, normally I will tell them stories or taught them some extra knowledge to broaden their knowledge. I always encourage them to ask questions if they don't understand. They did become more responsible, obedient and respectful towards teachers. I personally think that we as tutors not only need to focus on their academic improvement but also their personalities. As a tutor we have to be flexible according to the age and demand of the students. I was a scholarship holder under Sinchew Daily Organization and UTAR. I was the top scorer in Maths (T) in my school during STPM and I passed Financial Mathematics under SOA (Society of Actuary) and plan to take other professional paper in future. During my postgraduate studies I had an experience as a Replacement Teacher at Sekolah Menengah Kebangsaan Sijangkang Jaya for one month. I was entrusted to teach History for PT3 and SPM students as well as Pendidikan Islam and Civic Education for form 4 students. Last year, in 2016, I also worked as a home tutor for a PT3 student who needed help with History and the summary of PT3 topics I made for him was really helpful in shedding the lights on the lessons that are hard for him to digest. Pengalaman mengajar saya sebagai Home Tutor bermula pada tahun ni selepas saya menamatkan pelajaran saya diperingakat Ijazah Sarjana Muda. Saya telah mengajar selama 4 bulan disebuah agensi tuisyen di daerah Seberang Perai, Pulau Pinang. Saya ditugaskan untuk mengajar 2 orang pelajar darjah 4 untuk subjek Matematik. Manakala, seorang pelajar tingkatan 4 untuk subjek Prinsip Perakaunan. Untuk bahan rujukan, saya menyediakan buku latihan tubi untuk pelajar sekolah rendah dan bagi pelajar sekolah menengah saya menyediakan nota bagi pelajar memahami format-format asas Perakaunan. Saya juga mengajar formula menyediakan sifir serbaguna kepada pelajar untuk subjek Matematik. Saya merujuk kepada ibu bapa pelajar untuk memastikan pelajar memahami apa yang telah disampaikan oleh saya selepas kelas dijalankan. Sebelum kelas dimulakan juga saya akan menghubungi ibu bapa pelajar untuk mengetahui topik yang akan dibincangkan untuk kelas yang akan datang. Sebarang permasalahan, saya akan berhubung terus dengan ibu bapa pelajar dan pihak agensi tuisyen. I'm passionate about teaching. I started to teach primary and secondary students when I'm still studying in university. Till now, I have had about 8 years teaching experience. My core teaching subjects are Math and Science both IGCSE and Malaysia syllabus. Over years, I have built my own set of teaching styles and methods in building student's confidence level in their weak subjects and excel in their public examinations. Mathematics had always been my favorite subjects ever since I was a child. Solving a problem bring satisfaction to me. During school time, I enjoy guiding my friends to solve their mathematical questions. I really like the feeling of sharing knowledge with them. - Experience : 3 year - Number of students taught: 20 - Subject taught: modern mathematics, additional mathematics, IGCSE mathematics. : English and Mandarin Teaching style: Guide students to get answers instead of feeding them everything. - Others: Like kids and are patience with them. My main aim is to help you master and love what you're learning. I have mostly tutored science based subjects, which predominantly include Biology & Chemistry and I understand that these subjects can take a while to be good at and that is why I am here to guide you through to make your learning experience better. I'm faith kaswii, 20 years old from Kenya. I'm a positively motivated person who believes in hard work and participation. I have a 3 years teaching experience at different secondary schools with a range of 40 to 50 students teaching English and literature. The students writing and reading skills improved. They were more fluent in there speaking and there written English in compositions was also remarkable. I hold public speaking sections for students whereby different topics concerning youths are discussed with the concern of the wellbeing of the students. Back in secondary school I was awarded certification of participation in music,sports and red cross training. I'm also a talented painter. I have more than 3 years of experience in guiding my fellow juniours back at my University days until now for their assignments and project matters. I have been also praised for being helpful for lectures since most of the time I partially help them to guide other students in terms of practical application during University and school. I love to share my knowledge and experience to see others excel better in their subjects. My main strength is in mathematics, physics and science. I can also teach additional tips on how to score on exams and use the knowledge of their studies in daily life to give more understanding on it. I can also give advice to students to choose their career path for their future undertaking since this world is getting more complex and I would not want our future generations to set a wrong path based on misguidance by non experienced person. I have been giving motivational talks and seminars privately to upcoming generations to choose a good career path based on your capability and the welfare of your family. As for cocuricular activities, I was actively participating in inter college POOL tournamnets and develop myself to become a pro pool player and became a pool trainer. Searching for tutors has never been easier. All members registered with our Tuition Agency, Singapore can now access and browse the profiles of our tutors online. "ChampionTutor" features amongst the best Tuition Agency in Singapore and we attribute this success to our valuable portfolio of tutors, who have been dedicatedly working for improving the future of hundreds of Singaporean children. Home tuition in Singapore has become a common phenomenon, but searching for the right tutor takes more than you think. To simplify this tutor hunt, we have designed an easy search filter, which can be accessed from anywhere with an internet connectivity. Level: Pre-school, Lower Primary, Upper Primary, Lower Secondary, Upper Secondary, Junior College, IB, University, Computer, Languages, Others and Music. Subjects: Maths, English, Chinese, Tamil, Malay, Phonics, and Creative Writing. Area: North, North West, West, East, North East, Central, South, all area. You can also specify whether you'd prefer a male or a female teacher. Mark on the options you want according to level, subject and area and a list of tutors, and their detailed profile will appear right in front of you. We would mention every tutor, his/her name, qualification, background and other details are clearly. You can shortlist a few and then it's our responsibility to get you in touch with them. Home tuition, Singapore has become a necessity for the overall development of your children, and if you want to give them a competitive edge in education, availing tuition in Singapore is a prerequisite. Hire Specialized Home Tutors for your kids. Are you looking for a home tutor in Malaysia ? If yes, you have come to the right platform. At ChampionTutor, you can choose from thousands of home tutors in Malaysia for all subjects, all grades. We have listed experienced and result oriented home tutors to ensure your child a professional coaching at home. 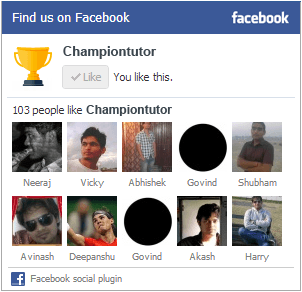 Searching home tutors at ChampionTutor is simple! All you need to select your area, level and subjects to see the available tutors for your locality. 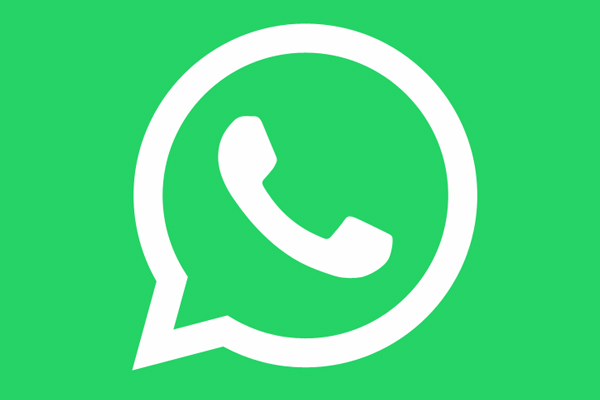 Send Us a Home Tutor Request Now! Why Choose ChampionTutor for Finding Home Tutors in Malaysia ? Therefore, we verify each tuition teacher in Malaysia before listing him on our tuition portal. Most of our home tutors belong from the pool of graduates, full time tutors, ex teachers and MOE teachers. We make sure that our home tutors cover all key areas of the subject while providing aid to the students to understand the chapter better. Besides, we provide home tutoring services at affordable prices, without compromising on quality. You can choose specialized tutors according to the schooling level (primary, secondary, junior college and university), subjects and even areas. So, wait no more and register now at ChampionTutor to find the best tutor for your child within your budget range.